Last week on Instagram, I asked you whether you’re interested in non-recipe posts about meals I’m making, products I’m using, and ingredients I’m trying. I will admit, I was relieved, because I love sharing new things I’m excited about and always forget to share with you on Insta-stories. I have tons of pictures on my phone of things that I think you’d be as excited about as I am, so I’m going to start putting together these monthly posts to share them all. Just to be clear, none of these recommendations are ever going to sponsored. They’re all products, services, recipes, and information that I organically discovered, genuinely love, and am excited to share with you! So, without further ado, here is the first installment of Things to Love! I’ve been on a mission to simplify both grocery shopping and sourcing good quality, nutrient dense food. Basically, I barely have time to go to one store each week, and no single store has everything I need all the time. Maybe I’m just picky. So, any time I hear about a company that sells really good quality food AND delivers it, I’m always willing to give it a try. I’ve gotten one ButcherBox box before (from which I made this and this), but at the time, it was too beef-heavy to justify getting every month so I didn’t reorder for a long time. 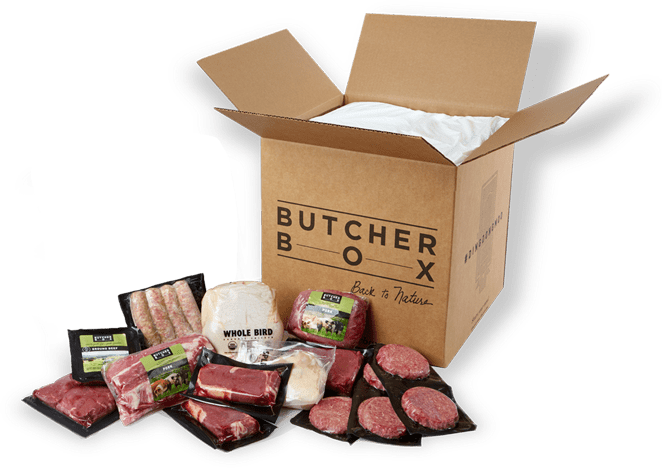 Recently, ButcherBox has started offering a Build Your Own Box option, which is what changed my mind about trying them again. They’re a wonderful, family-run company that deals directly with small farmers to deliver organic, grass-fed and grass-finished meat to you. It’s deep frozen, so all you have to do is throw the contents of your box in the freezer until you’re ready to cook. So easy. Click here to sign up and get $10 off of your first box, plus free bacon. Although it calls for you to turn on your oven, Ratatouille is an otherwise perfect hot weather dish. To start with, it’s a simple concoction of summer vegetables and herbs that you may have in your garden already, like zucchini, basil and tomatoes. Throw in an onion and an eggplant, and a few pantry ingredients, and you have dinner. There’s a reason this recipe is, by far, the most popular recipe on this site. There are a lot of reasons, actually. I hear so many people say “oh that looks too time consuming for me.” Exactly. That’s the magic: it only looks time consuming. In reality, it’s a bunch of sliced vegetables baked in a tomato sauce. But don’t tell your dinner companions that as they ooh and ahh over it. Speaking of dinner companions, Ratatouille will please them all. As written, the recipe is gluten free, paleo, vegan, dairy free, egg free, soy free, Whole30 compliant, low carb, and sugar free. I’ve seen people serve it all kinds of ways to make it fit their needs. Some serve it over rice or quinoa to make it more filling. Lots of people melt cheese (or vegan cheeze) over the top. In my house, we eat it as a side dish with a protein like chicken or pork chops. I’ve even heard of someone blending it into a chunky sauce and serving it tossed with pasta. 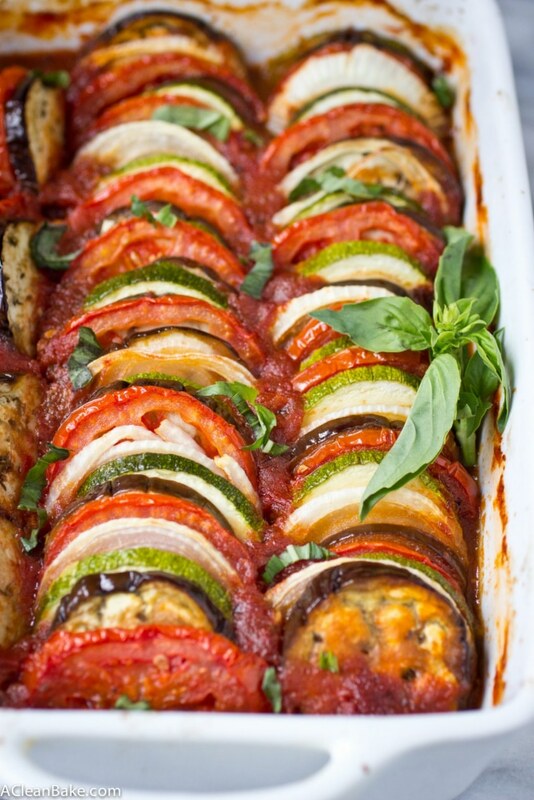 The bottom line: Ratatouille is THE recipe of the summer! Bookmark it or print it out here, pin it here, and get ready to make it again and again. Ps: If you’re still up to your ears in zucchini, here are some more recipes to use it up! You know the ones: They come apart and pieces get lost, they rust, they have to be washed by hand, and so on. I love mason jars for food storage, but I can’t stand the metal tops that come with them. Instead, I found plastic tops that work so much better for mason jars, and are easier to find in the messy tupperware cabinet (that’s a thing everyone has, right) because they’re so brightly-colored, and are super affordable. These tops are not airtight for canning, but they’re extremely secure for short term (refrigerated) food storage, or dry goods in the pantry. I get them on Amazon in a set that contains standard-mouth and wide-mouth jar tops. This one is a game changer and it’s not a thing, as much as it is a realization. 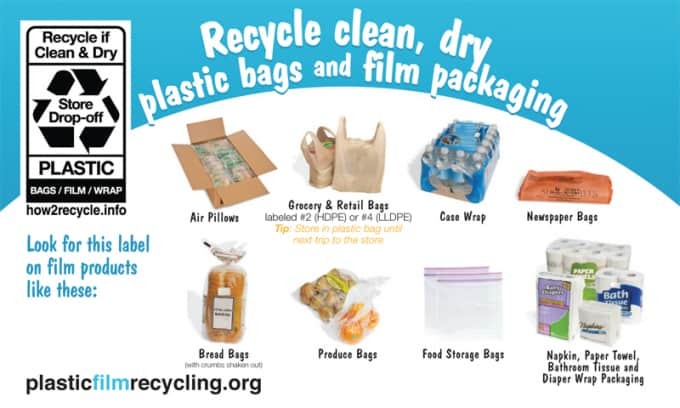 I was researching plastic grocery bag recycling programs – you know, those drums at the entrances of drug stores, grocery stores, and big box stores – and discovered that you can actually recycle most types of the plastic film in those receptacles instead of throwing them away. 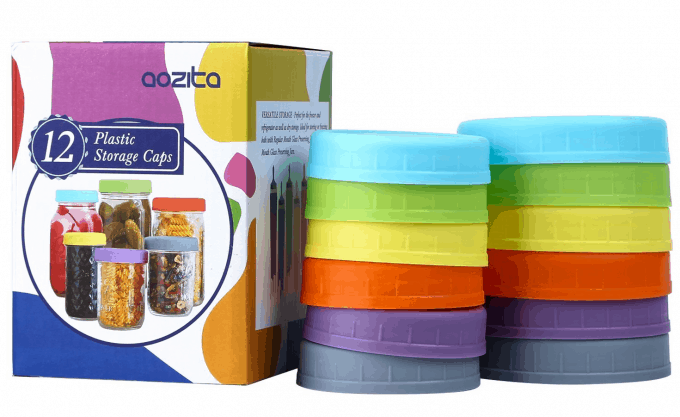 You no longer have to clog up your trash (and landfills) with zip top bags, shrink wrap, plastic clung wrap, and the like, that will take hundreds of years to decompose. If you’ve been seeing articles like this one more and more frequently, like I have, you know why this is such a revelation. Check out this site for more detailed information about what you can recycle in your area, and where to drop it off. Whole Foods is finally rolling out the extra perks for Prime members that they have been promising since they were acquired by Amazon. 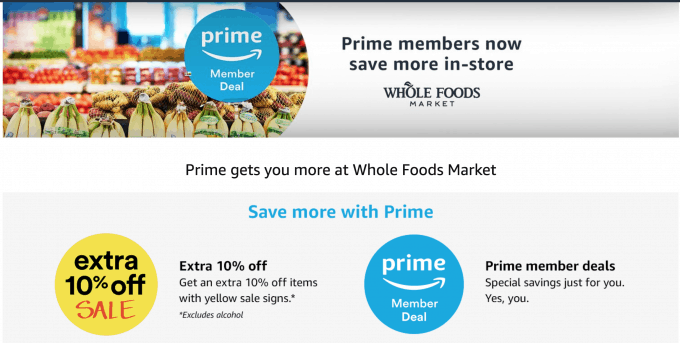 Prime members don’t automatically get the benefit, but all you need to do is either download the Whole Foods app or go to amazon.com/wholefoods and enter your phone number. Then, once you’re confirmed, you’ll need to give the cashier your phone number before you check out and they’ll apply your benefits to your order. To get your Whole Foods benefits, sign up for a 30 day free trial of Amazon Prime here. And I do mean serious. After years of reducing my sugar intake and reviving my taste buds, I’ve become a dark, dark, darrrrrk chocolate lover. First it was 72%, then 90%, and my latest favorite bar is 100% cocoa. You read that right. It’s completely unsweetened chocolate, with cacao nibs for a little crunch. And it is spectacular! 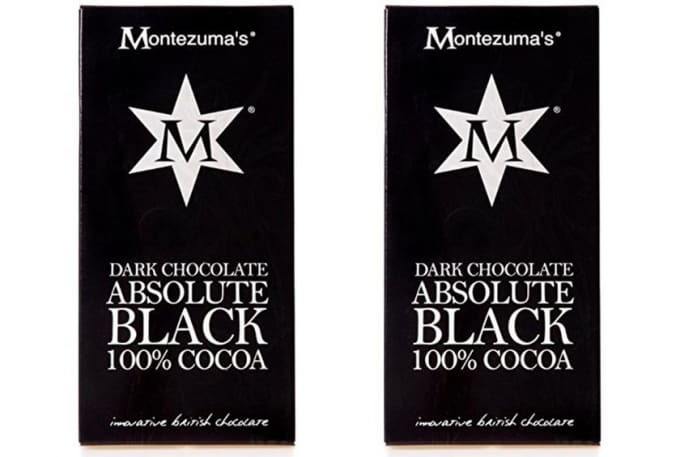 The bar is called Montezuma Chocolate Absolute Black, and I get the bars at Trader Joe’s, in the kiosks near the checkout. You can also get it online. 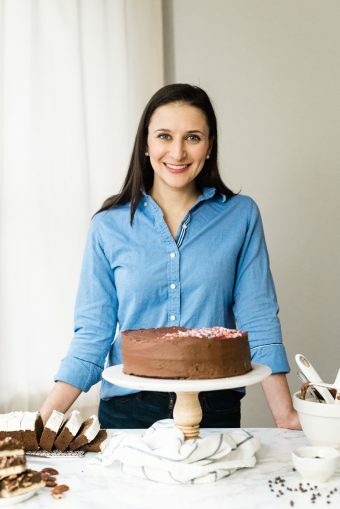 Last month, I was interviewed on one of my favorite podcasts, Dishing with Delishes, about A Clean Bake. I’ve never been in a podcast before, but it was such a blast. It felt like a casual conversation with a friend, not an “interview”. I wasn’t nervous at all, and we talked for a lot longer than we were supposed to, because we were enjoying it so much. As much as I believe in the magic of baking grain free treats that taste just as good as the “real” thing, I also acknowledge that there are some things that are very difficult to make well without grains or gluten (and without tons of weird gums and ingredients). Bread is almost all of those things. That’s why finding a good gluten free or grain free bread product or recipe always feels like such a revelation. Canyon Bakehouse gluten free bread has been the first brand to consistently impress me, and their Everything Bagels have been the first bagels I’ve enjoyed since I gave up gluten so many years ago. My go-to weekday lunch these days is half a toasted gluten free everything bagel with dijon mustard, sliced cheese, turkey breast (I love the Applegate herb turkey breast), and mixed greens on top. I didn’t realize how much I’ve missed bagels until I found these! 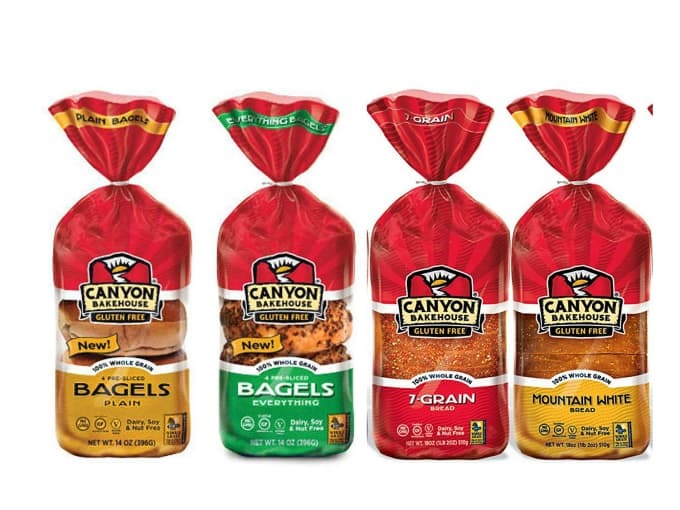 Check Whole Foods or your local health food store for Canyon Bakehouse products. You’ll find them in the freezer section. If they don’t stock the bagels, you can usually request them. I made what is arguably the most pimped out s’mores any marshmallow has ever seen, and they’re gluten free and vegan, to boot. Intrigued? Good instincts! See, it’s hard to find a good packaged gluten free graham cracker, and if you’re going to make them from scratch, why not just throw in a few more ingredients and make a peanut butter chocolate chip cookie instead? And then obviously, you’ll want to smoosh a warm marshmallow between two of them and finish it with a generous chocolate drizzle (because what doesn’t benefit from a generous chocolate drizzle)? The bad news? The recipe only makes 9 s’mores. Feel free to double up. I don’t use a ton of marshmallows because they are usually so full of trash ingredients. The only ones I have found that are good quality and a nice summer treat option are Dandies (who I worked with to create this recipe). You can find them at Whole Foods, other health food stores, occasionally at supermarkets, and – of course – online. 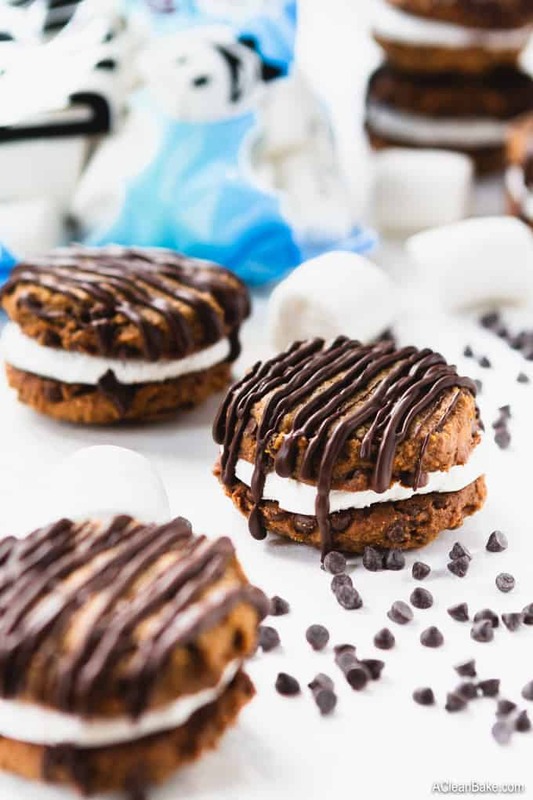 Get the peanut butter chocolate chip cookie s’mores recipe here. Like most kids his age, my son refuses to eat vegetables. I’ve tried everything, and have just accepted that it is a phase that he’ll grow out of. In the meantime, to make sure he does get some veggies in him, I make him a smoothie for breakfast every day that contains one or two servings kinds of veggies. That way, I figure, I don’t have to stress too much if he won’t touch a vegetable for the rest of the day (I still offer a veggie with every meal). I offer the smoothie first thing in the morning when I know he’s the most hungry, and the most well-rested, because the more tired and grumpy he is, the more likely he is to irrationally reject food I know he likes. He almost always downs the whole smoothie at breakfast. It helps that I put a lot of fruit in it as well, so it’s nice and sweet and he can’t taste the vegetables. You do what you have to do, right? For a long time I was posting the smoothie combinations I was making on Instagram, but I have forgotten lately. Speaking of consistency, if you’re just introducing smoothies, you probably want to make them waterier. My son drinks them thick now, but we started out with a very runny consistency and worked up to a thicker, heartier smoothie over time. It also helps to start with a smoothie that is heavier on the fruit and stick with flavors your child enjoys. Resist the urge to put just a little more broccoli in, if you run the risk of tipping the balance of flavor toward broccoli. The whole thing will end up in the trash. I always put a banana in the smoothie because I know that if it tastes like banana, he’ll drink it – no matter what. If your child doesn’t like banana, try soft cooked sweet potato as the base instead. The formula above looks like a ton of food, and I suppose it is. My son tends to eat most of his calories at breakfast, and like I said, that’s the time when I know he is most likely to eat well, so I load him up on nutritious stuff so that I can be a little less concerned if he is in a picky mood the rest of the day. The “recipe” above makes enough to fill the cup we use, twice. And yes, he almost always has seconds and finishes the whole thing. So it works for us, but feel free to scale down to your child’s appetite. Speaking of that cup, I get so many questions about it on Instagram. It’s made by a company called Housavvy and I got it on (you guessed it!) Amazon. They’re the perfect size for little hands, made of stainless steel, and come with wider reusable silicone straws that are perfect for the consistency of smoothies. They come in two packs, which is nice for a two-smoothie day (unless you are someone whose dishes are always impeccably washed and dried immediately after the meal; I am not). They also come with a little wand brush to clean the inside of the straws, which is invaluable. As for the cups and tops, the package says to hand wash, which of course I do, religiously. Hahahahahahahahahaha just kidding. I put everything in the top rack of the dishwasher. It’s the only way to get the tops completely clean. Here is the link to the cups, if you want to try them. 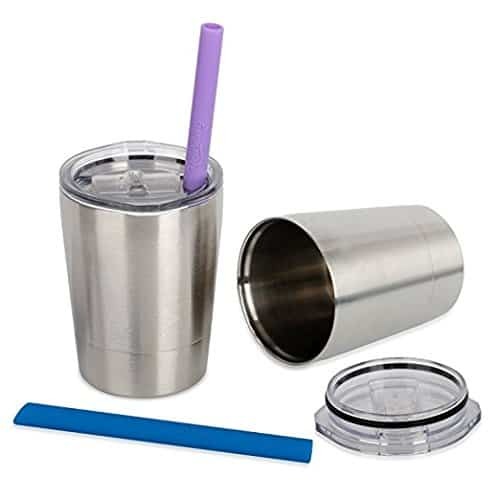 I ordered the “cups + lids + straws” pack, which is around $16. My only caveat is that, sometimes, the tops can pop off (or be loosened by curious little fingers), resulting in a smoothie-down-the-front-of-your-kid’s-shirt situation when they are tipped toward the drinker. So just keep an eye on those tops. Most of the time, the tops are pretty secure and it’s fine. 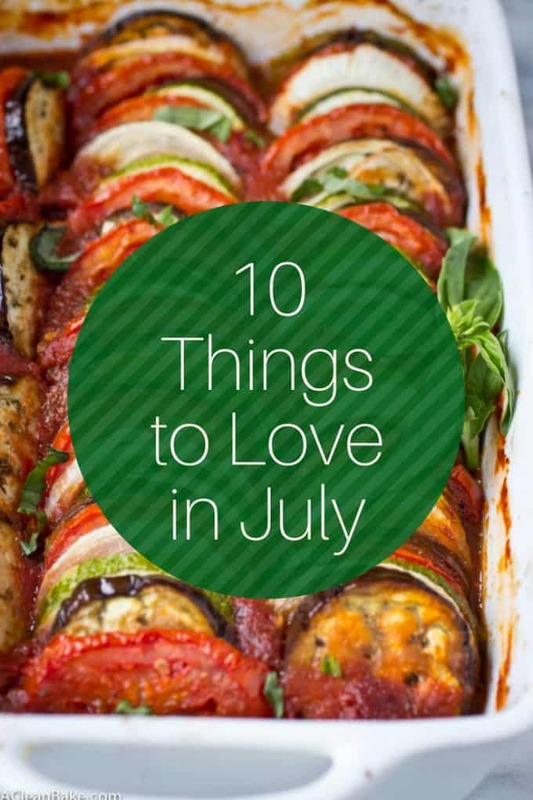 Those are the 10 things I’m loving this month! What did you think of the list? Is there anything here you’re going to try? Is there any time of recommendations you’d like to see more or less of next month? I tried your ratatouille recipe a while ago and absolutely loved it. The sad thing is I haven’t thought to make it since then. Thanks for bringing it back up! I’ll also have to try those dark chocolate bars- yum! That’s so nice to know! That’s part of the reason I love doing these roundup posts – it reminds all of us of great recipes from the archives that would otherwise risk being forgotten! I tried the ratatouille recipe tonight, my family and I truly enjoyed it. I will definitely be saving the recipe for a later date to have again. Thank you for sharing it!